Judo is a relatively modern martial art that was developed in Japan by Professor Jigoro Kano, who was born in Kikage near Kobe in 28th October 1860. Adapting many of the traits and techniques of the much older martial art jujitsu (which came around years earlier in 1532), Kano studied under some of the greatest practitioners of the day before developing his own school and exercises that he named judo. He began to teach the new martial art in 1882 using a 12 foot by 18 foot mat in a hall, and had a total of nine students in his first year. Since then judo – which translates as “gentle way” – has spread from its Japanese origins to become of the most popular martial arts around the globe, with even Vladimir Putin being a keen practitioner. As a competitive sport it took a while to make waves until the All-Japan Judo Championships were inaugurated in 1930. Two years later judo made an appearance as an exhibition sport at the Olympics in Los Angeles, but it was not until Tokyo hosted the Games in 1964 when judo became an official Olympic sport for men, and Barcelona in 1992 for women. While there is a deep tradition of Eastern philosophy underpinning the martial art, as a competitive sport the aim is simply to beat your opponent, albeit with honour and grace. To win a bout a player must score more points than their opponent, with points being awarded for throws or holds, and penalties being given for various infringements. Judo is competed on a mat – or tatami – measuring 14m x 14m, with a smaller 10m x 10m contest area marked within. Judokas must each wear a gi (traditional uniform originating from the kimono and other Japanese garments). The gi must be durable enough not to easily rip and the arms and legs must be no more than 5cm above the wrists and ankles respectively when the limbs are extended. A belt must be worn which is wrapped around the jacket and tied with the traditional knot. There are three types of score an athletes can achieve in a judo bout. Ippon is the best in that it results in immediate victory and can be achieved by throwing an opponent in such a way as to make then land on their back. Alternative methods of scoring ippon include trapping an opponent in an armhold or stranglehold to the extent that it forces them to submit or immobilising an opponent on the floor for at least 25 seconds. The next best score is a waza-ari, which is a half point in that the award of two waza-ari in a bout is the same as ippon, and hence the winner is declared. Waza-ari is awarded for lesser throws than those scoring ippon, and for immobilising the opponent for less than the time required to score ippon. The third, and holding least weight, is yuko. These are awarded for short immobilising holds and some less effective throws or locks. One score of waza-ari outscores any number of yuko, while even if an athlete has one score of waza-ari and many of yuko, one score of ippon by the other athlete would supersede them all. There are two types of penalties awarded in judo, shido – for minor rule infringements – and hansoku make – for major rule breaches, or for the accumulation of four shidos. 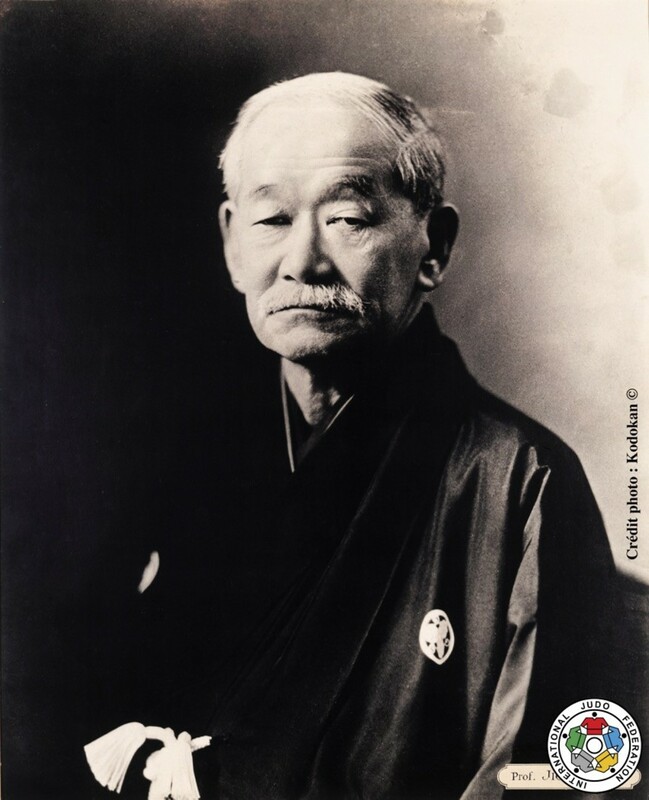 Shido penalties are awarded for stalling tactics, prolonged periods of non-aggression, with the first penalty being a warning, the second giving a score of yuko to the opponent, the third a waza-ari and the fourth, ippon – hence the match. An award of hansoku make to an athlete automatically gives the match to the opponent, and – if for a major rules infringement rather than for four shidos – also results in expulsion from the tournament itself. Athletes, or judokas, win a match by either achieving ippon, gaining two scores of waza-ari (and hence ippon) or having accumulated more points than the opponent by the end of a bout. If the scores are identical at the end of a bout, a period of Golden Score ensues. In this overtime period, the first score of any kind wins an athlete the match. If the scores are still level at the end of this period the result is decided by Hantei, that is the majority decision of the referee and the two corner judges. Judo matches take place on tatami (mats) measuring 14m x 14m, with a combat area of 10m x 10m marked out within it. Judokas (athletes) must bow before stepping onto the mat and must bow to each other before and after either practice or competition. Judokas must wear the appropriate gi (uniforms), that is one that is no more than 5cm above the ankles and wrists and is tied with the correct style of knotted belt. Bouts last five minutes (in international competition) and are won when one judoka is awarded ippon. If no ippon is awarded, the player with the highest score at the end of the bout is declared the winner. If the score are level the match is decided by a period of Golden Score then – if still not resolved – the decision of the referee and corner judges. Penalties are awarded for minor (shido) or major (hansoku make) infringements of the rules. Four shidos results in the award of ippon to the opponent, as does one hansoku make. Judokas must not employ any of the outlawed techniques, including attacking joints (other than the elbow), punching or kicking opponents, touching the opponent’s face, or intentionally injuring the opponent in any way. Previous articleHow to Cope with Cliques?